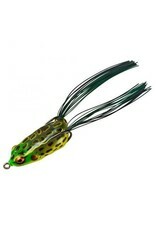 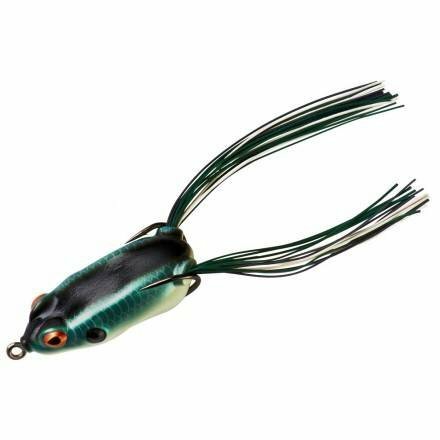 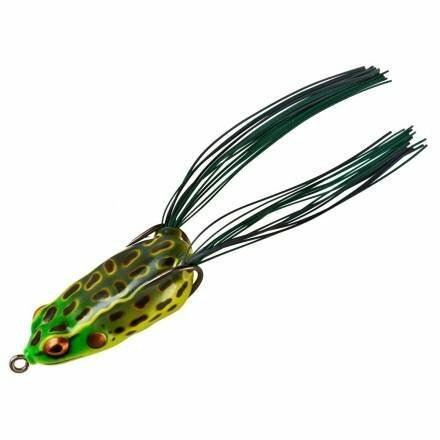 The BOOYAH Pad Crasher Jr. is a topwater hollow-body frog that sports a bass-boat-style belly that catches water for the easiest "frog-walking" action in open water and a nice finesse scooting action over the slop. 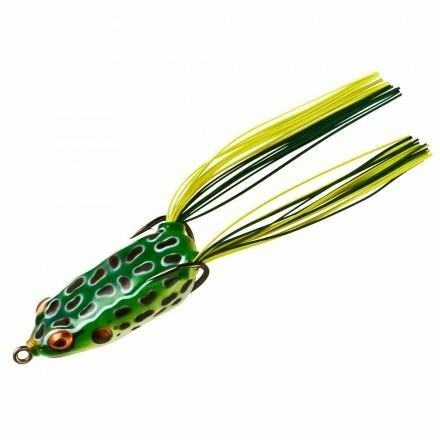 The BOOYAH Pad Crasher Jr.'s flow-thru design drains the lure with every twitch, keeping it working flawlessly without sinking or catching weeds. 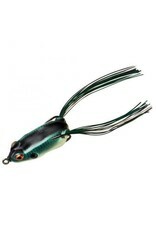 A rugged double hook and interior weighting system ensure positive hookups. 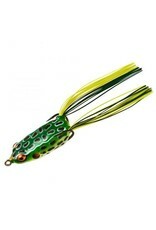 This bait works effectively in the slop and walks back and forth like a Spook in open water.